Get a free K9 Advantix II or Advantage II for cats and dogs at Pet Supermarket. Protect your pet from pests. Print the coupon and present it to participating stores. 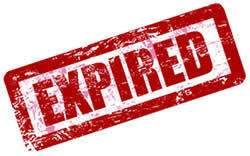 There is no expiration date on the coupon, but it does say while supplies last. You may want to call ahead to your local Pet Supermarket and confirm that they are participating in this deal and still have stock available.